I grew bored with this novel pretty quickly despite its short length of 248 trade paperback-size pages. The story is easy to predict and doesn't really leave much room or creativity in terms of suspense. 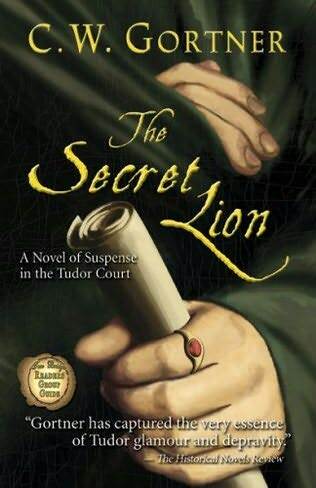 The characters and their dialogue are more corny, cheesy and melodramatic than the style of old-world class usually prevalent in historical fiction, and I'm simply disappointed at how this novel really lacks mystery and intrigue. I've noticed that Gortner holds a type of cult-following in the historical fiction book world, and I respect him for that. I'm also willing to read some of his other titles, which include The Last Queen: A Novel of Juana La Loca (2006), The Confessions of Catherine de Medici (2010), and the soon-to-be released The Tudor Secret (2011). If anyone is looking for amazing historical fiction on the Tudor dynasty, I highly recommend reading The Autobiography of Henry VIII: With Notes by His Fool, Will Somers (1986) by Margaret George and novels by Philippa Gregory including The Other Boleyn Girl (2001) and The Virgin's Lover (2004).